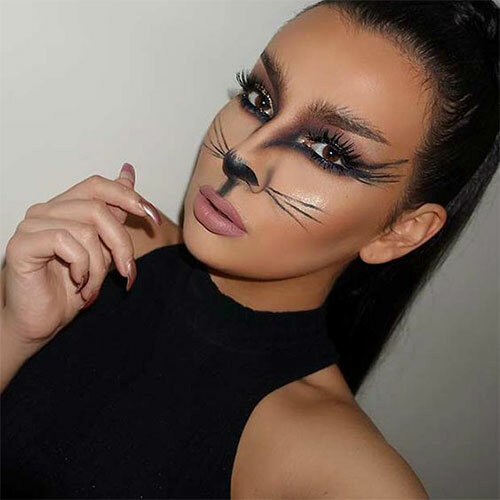 If you are wearing a plain dress you can complement it with a bomb makeup, a loud makeup on plain clothing looks great however if your outfit is already on point then you must go with subtle hues and soft makeup looks. 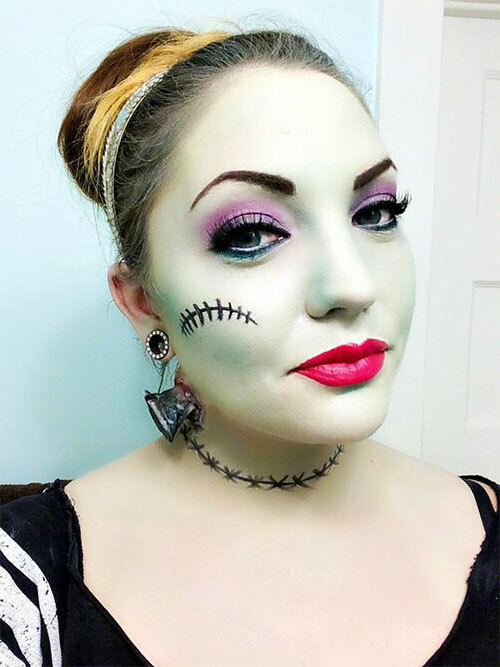 Besides, on the event of Halloween you must experiment with the looks by playing with louder makeups, and gory eye shadows/lipsticks because this event is not the basic and usual one but really different and weird. 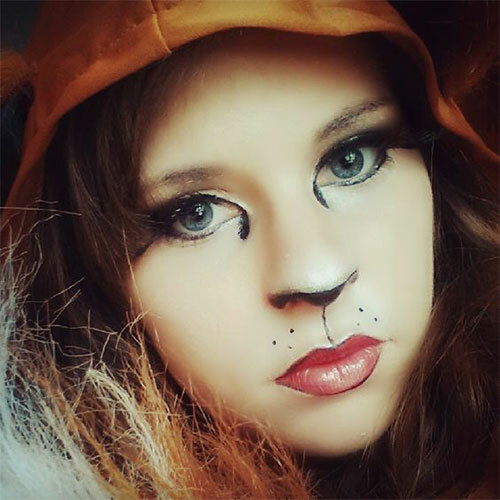 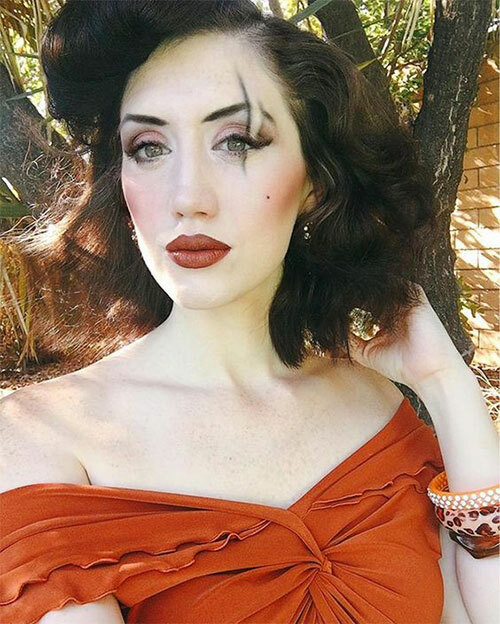 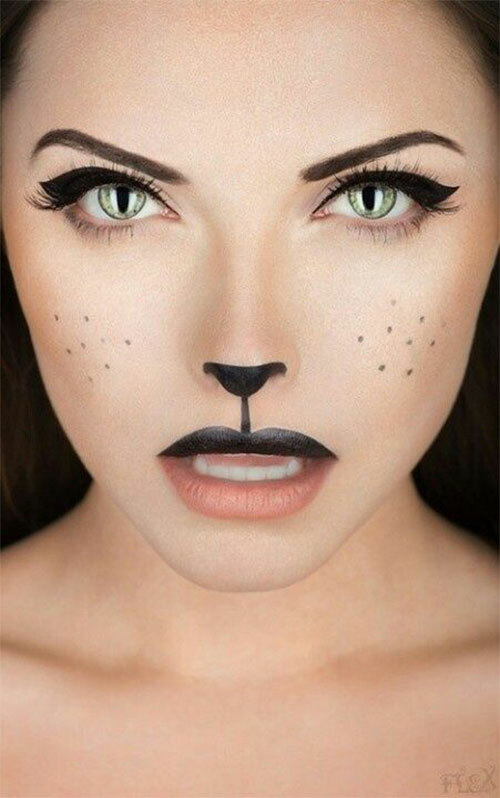 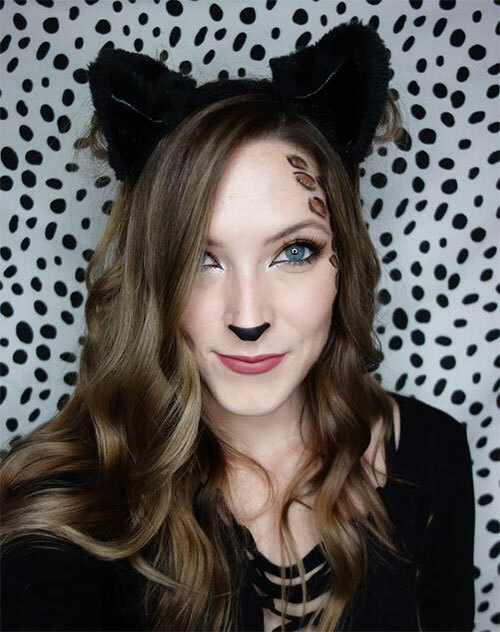 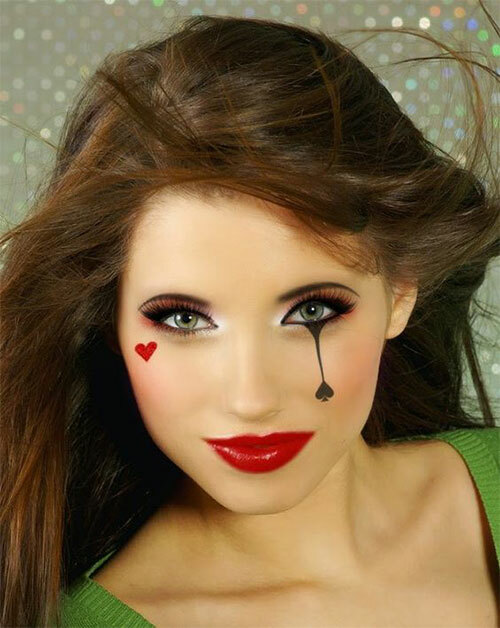 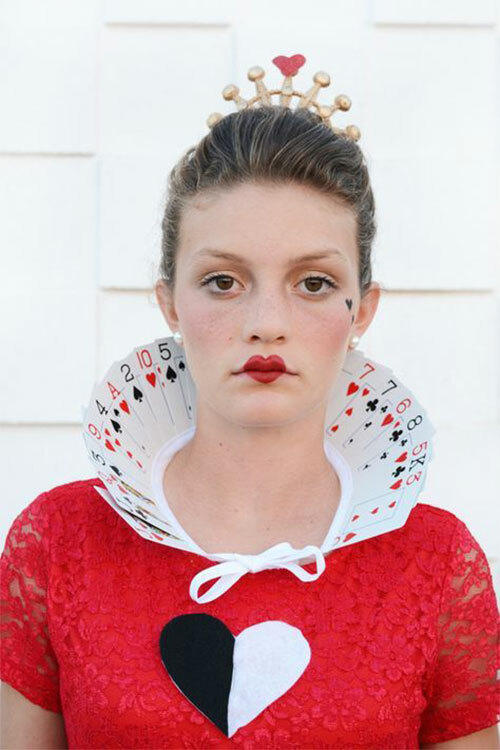 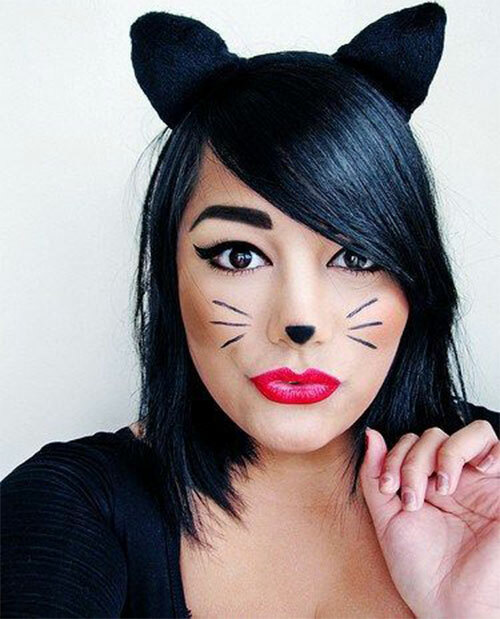 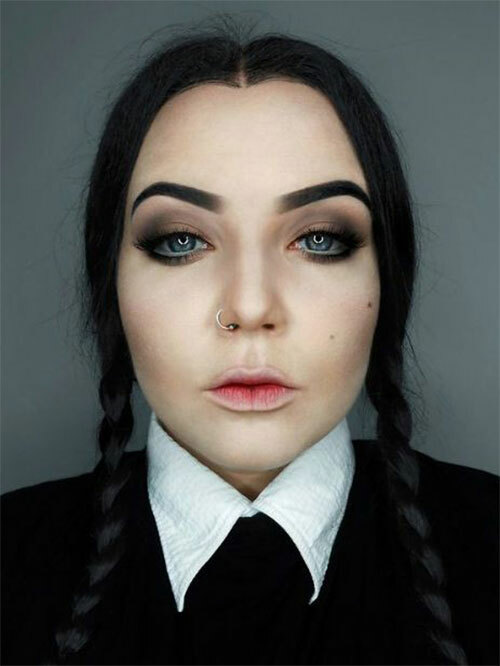 Down here you will see 15+ simple & easy Halloween makeup ideas of 2018 for girls & women. 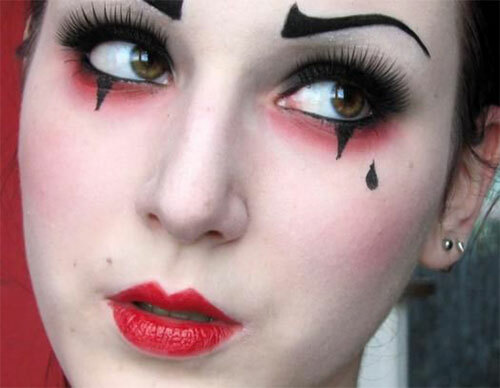 These are truly stunning and will look appropriate on the day of horror. 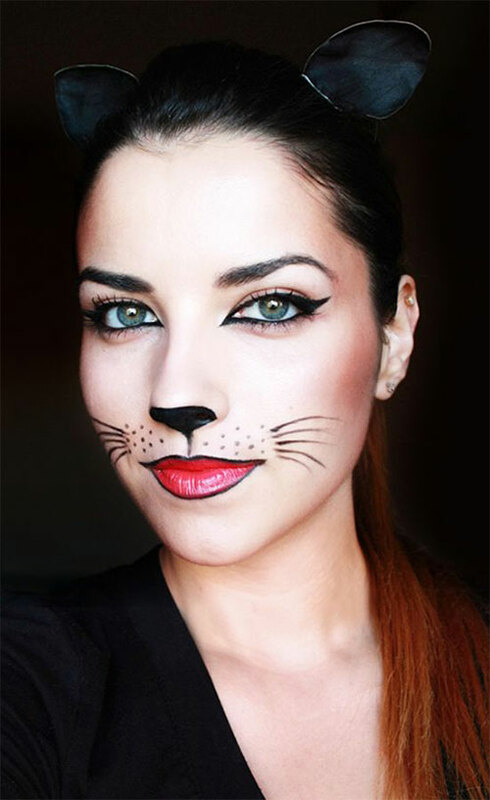 For some amazing makeup ideas of Halloween I would request you to kindly check the previous collection of Halloween makeups where you will get inspiration that how makeups can be done differently. 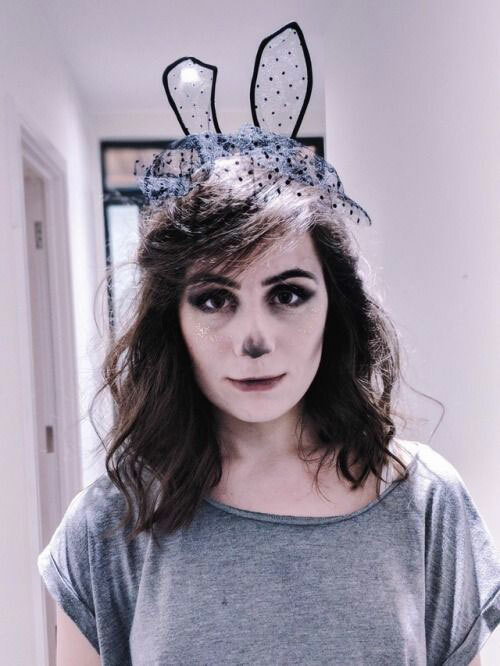 I wish you all a safe festivity ahead.